Happy Dad’s Day, to all my fellow pops out there. Hopefully your kids were somewhat courteous like my own demon-spawn this morning – left you alone in the morning so you could have morning nooky with the spouse, then all letting you sleep in for an extra twenty minutes, have homemade gifts made up, and then helped the spouse make some fresh pancakes with strawberries. Perfect!!! Montecristo No. 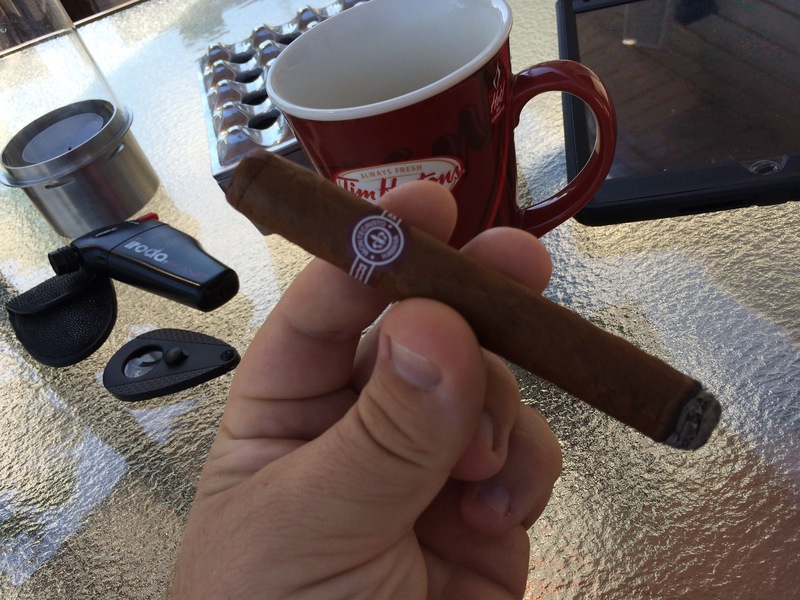 4, Oct 2009 “RAS” stick, HQ stick from Czars’s, perfect with a creamy Cafe Cubita coffee in the morning warmth (a sunny and clear, slightly breezy morning, 26 C with 51% RH to start the day). A solid and dependable 89-91 stick to start me off today. Remember Dads – our only job is to keep our sons outta jail, and our daughters off tha pole. We succeed at that, that’s all we have to be focused on no matter our other failures, and we can always consider ourselves successes in life! Lol. I’ll admit THAT test is still a ways away for me – son is only seven, and daughter is four. But, I’m keeping my fingers crossed for then, and enjoying the fruits of my successes now! And – over the next few days and weeks I’ll FINALLY be starting the process of updating posts on here, to get all the stuff caught up from the past year. I think I’ve got all my computer issues sorted out finally, recovered most photos and documents, and got myself caught back up. So, it’s coming, y’all!